-- Divisions: youth Under-06 to High School divisions and adult divisions. 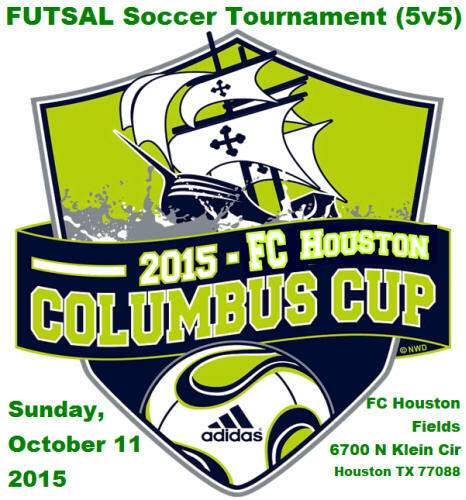 -- Deadline to register a team is Monday, October 5, 2015. -- Schedules will be ready on Tuesday, October 6, 2015. Entre Fee per team: $60 plus referee fees. Special FUTSAL Rules for this tournament: coming soon. Referee Fees: Each team must pay the referee fees "before" the game starts: $20 per team per game. Extra Time: In games where there has to be a winner, there will NOT be extra time. The winner will be determined by FIFA style penalty kicks. * Red-Card: a team must play short 3 minutes. * Referee will start the clock even if the players are not ready at the designated time. * Goal-kicks maybe taken any where from the circle area. * Please pick up your trash. PROTEST Procedures: coming soon.